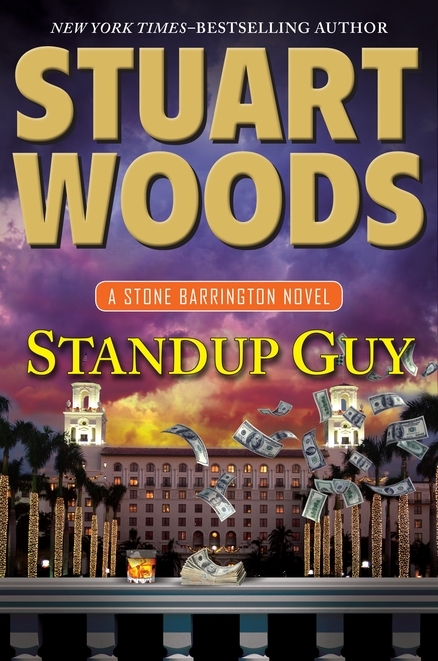 I just returned from Mexico and during my trip I finished reading Stuart Woods’ latest Stone Barrington novel, Standup Guy. As expected, it’s a terrific read that goes down as smoothly as a glass of Knob Creek. In addition to having a wonderfully unpredictable plot, the book references and builds on previous storylines and there’s an interesting political element as well. The Stone Barrington series has been around for 23 years and it’s not showing any signs of slowing down. For those looking to read a high-quality mystery filled with action and intrigue, look no further: Standup Guy delivers. Stone Barrington’s newest client does not seem the type to bring mayhem in his wake. A polite, well-deported gentleman, he comes to Stone seeking legal expertise on an unusual—and potentially lucrative—dilemma. Stone points him in the right direction and sends him on his way, but it’s soon clear Stone hasn’t seen the end of the case. Several people are keenly interested in this gentleman’s activities and how they may relate to a long-ago crime . . . and some of them will stop at nothing to find the information they desire. On a hunt that leads from Florida’s tropical beaches to the posh vacation homes of the Northeast, Stone finds himself walking a tightrope between ambitious authorities and seedy lowlifes who all have the same prize in their sights. In this cutthroat contest of wills, it’s winner-takes-all . . . and Stone will need every bit of his cunning and resourcefulness to be the last man standing. Sounds like a great story. Hope you had a wonderful trip. Thanks, Elaine. It was. I’m going to write a post about it shortly and include some photos from the trip.